A growing number of Los Angeles and Southern California business owners and entrepreneurs are taking the time to serve as board members for nonprofit organizations in their communities. Serving as a nonprofit board member is a great way to give back to your community by volunteering your time and sharing your knowledge with organizations that can really benefit from your expertise. 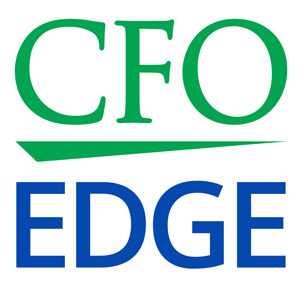 Here at CFO Edge, we have been engaged as interim Chief Financial Officer by several nonprofit organizations and many of our partners serve on the boards of directors of one or more nonprofits. In our experience working in senior executive roles in some of these organizations, we have looked at the roles of board members and asked ourselves how the well-respected professionals who sit on those boards can maximize their impact on the organizations they serve. While governance and fundraising are important roles for nonprofit board members, experienced and well-connected professionals can provide even more support to nonprofits by using their "Rolodex" to make referrals. This is done in much the same way as a professional would for a for-profit client. This might begin with the board member or his or her firm providing discounted or pro-bono services for the nonprofit, but it can go much further. Without crossing the line into active management, nonprofit board members should look for opportunities to use their expertise, experience and contacts to help find solutions to specific problems and issues facing the organization. When appropriate, board members can also help ensure that nonprofits employ the same best practices with regard to financial management as for-profit companies do. § Make sure that the nonprofit’s management fully understands your professional expertise and how you can directly assist the organization beyond just governance and fundraising. § Gain sufficient knowledge of the challenges facing the organization so you can refer other professionals who can provide a solution for the nonprofit. § Treat members of your professional network who serve on nonprofit boards as a resource who can provide examples of how other nonprofits have dealt with similar challenges to those yours is facing. For example, the next time you find yourself at a networking event talking to someone who serves on a nonprofit board, pick his or her brain for some ideas on how you can have a greater impact on the nonprofit organization on whose board you sit. Serving as a nonprofit board member is a great way to give back to your community by volunteering your time and sharing your knowledge with organizations that can really benefit from your expertise. While governance and fundraising are important roles for nonprofit board members, experienced and well-connected professionals can provide even more support to nonprofits by using their "Rolodex" to make referrals. If you serve on the board of a nonprofit organization, look for opportunities to use your expertise, experience and contacts to help find solutions to specific problems and issues facing the organization.